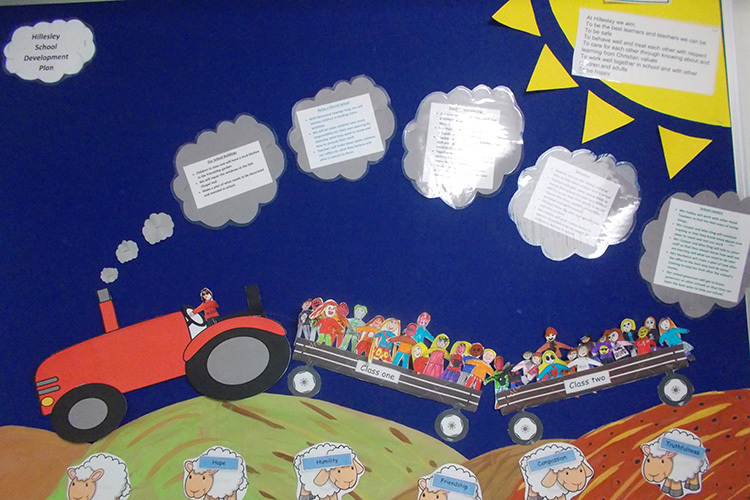 The school’s tractor has all the children safely on board! The head teacher drives the tractor forward. The sheep in the field represent the Christian values and each word on the sheep represents a value for each term this year – the current value is wisdom. The sun holds the Vision. The puffs of smoke are key areas of our current development. Each coloured box is an key area of the school. Each box includes a list of our current development for that key area.